Something from my bar whenever I feel like it episode CXXIIIsteemCreated with Sketch. Well it's getting close to Christmas so I guess I can start with the holiday stuff. 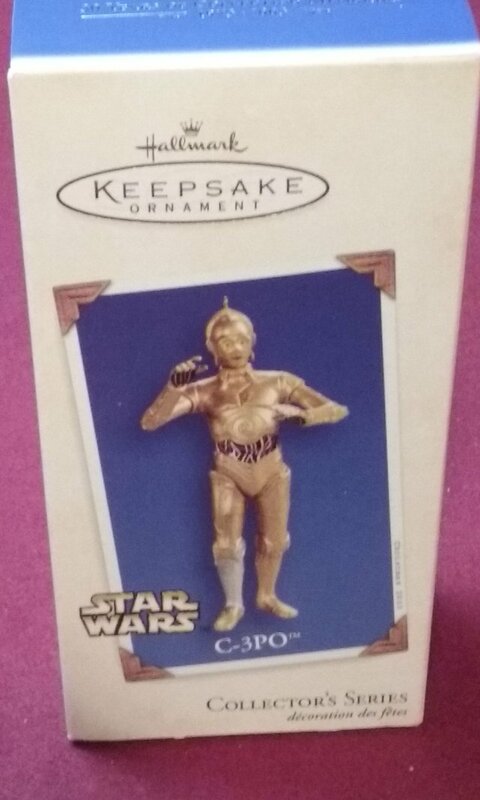 This one is a C-3P0 Keepsake Ornament. 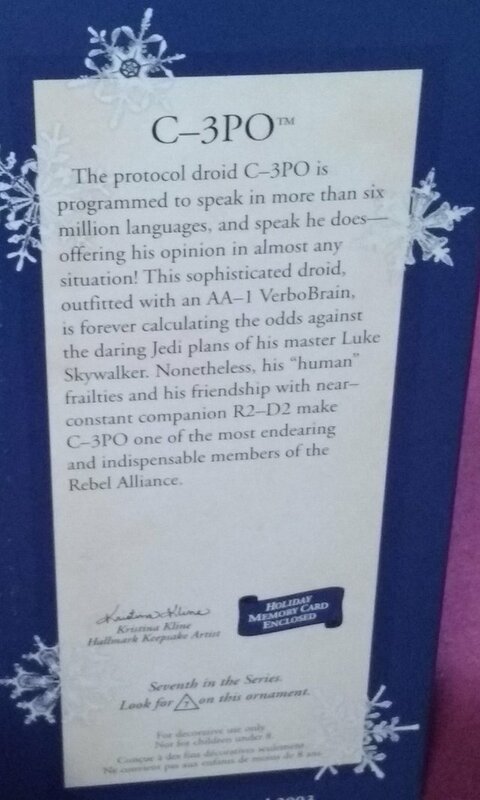 It's a little collectible Hallmark ornament. 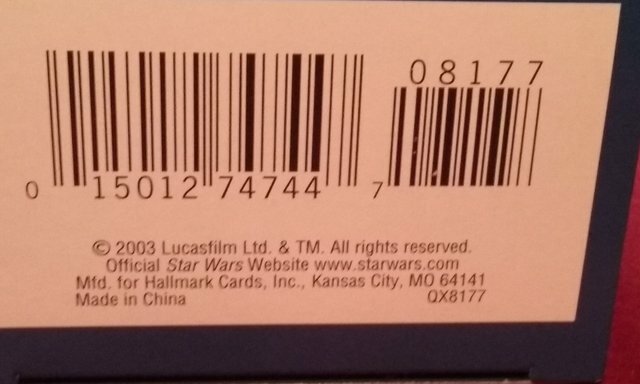 The box has a picture on the front and a specifications of C-3P0 on the back. 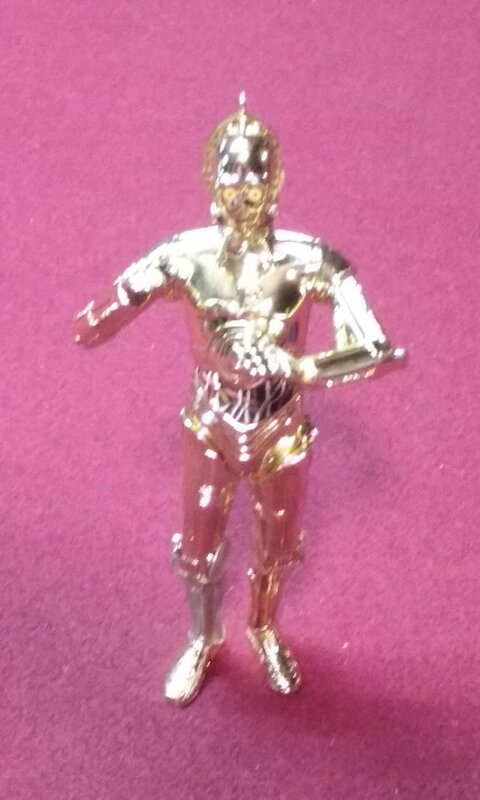 While it's a holiday ornament I keep it in the box in the display cabinet all year long. I used to get these as stocking stuffers years ago. There will be more Sci-Fi ornaments to come in the next couple of weeks.